When you think of taking a winter break, you probably think of flying to some tropical destination — Florida, the Bahamas or the Mexican Riviera. But those places are expensive and crowded at this time of year. Besides, the beach isn’t for everyone. Niagara Falls might not be the first travel destination that springs to mind when you think of where to book your winter vacation, but maybe it should be. The falls in winter are uniquely beautiful, and you’ll avoid the summer crowds if you can brave the cold. 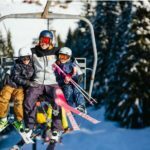 Here’s why we recommend Niagara Falls if you’re looking for a fun and exciting trip this winter. The Niagara Falls are stunning no matter the time of year, but in the winter, cold temperatures turn them into gorgeous natural ice sculptures. You’ll be seeing the falls in a way that the majority of their visitors do not. Stunning views of the Niagara Escarpment in winter can be had from the Niagara Skywheel. You may not be able to take one of the iconic Hornblower or Maid of the Mist boat tours to the base of the falls, but you can still view the falls from the nearby observation decks. The famous Journey Behind the Falls, on which you’ll explore walkways carved in the rock behind the falls, is also open every day of the year except Christmas Day. 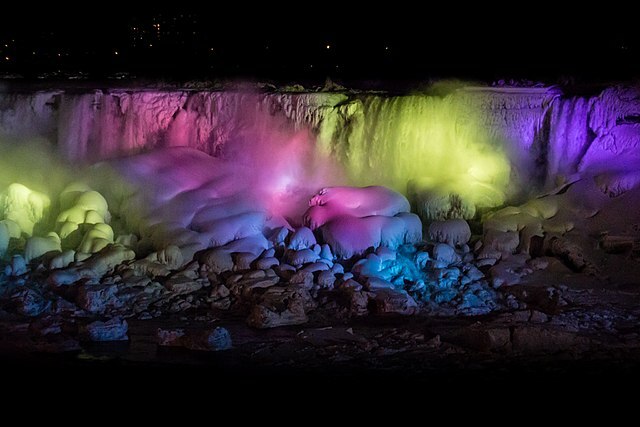 Starting at nightfall each night, the falls will be brilliantly illuminated in different colors, a sight you can enjoy from the warmth and comfort of your Fallsview hotel room or from a Fallsview bar or restaurant. One of the biggest drawbacks of visiting Niagara Falls in the summer is the crowds. Twelve million people visit the falls each year, and most of them do so during the summer. 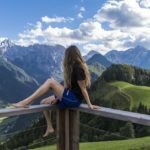 If you go in the winter, you’ll beat the crowds and have a more relaxed, more fun vacation as a result. That means shorter or no lines to get into attractions like the Niagara Skywheel, Journey Behind the falls or Dinosaur Adventure Golf at Clifton Hill. There will be more tables available at some of the city’s best restaurants, and you’ll enjoy discounts on some of the city’s best hotel rooms. Of course, if you visit for New Year’s Eve, all bets are off crowd-wise. The town hosts its biggest party on New Year’s Eve, so if ringing in the New Year in a memorable way is at the top of your list, you won’t want to miss it. From the start of November through the end of January, locals light up the long winter nights with the Winter Festival of Lights, which includes light displays on the grounds of all of the Niagara Parks. Don’t miss the stunning illuminations on Dufferin Islands or the massive Christmas tree on Queen Victoria Place. Hornblower Niagara Cruises sponsors fireworks shows at night during the Winter Festival of Lights to entertain visitors who don’t mind the cold. Many of the most fun attractions in Niagara Falls are indoors at Clifton Hill, which is great news for the winter traveler. 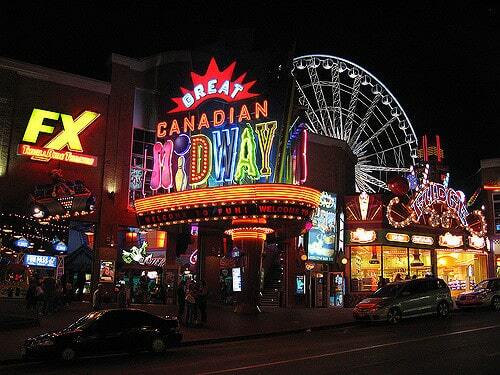 Clifton Hill’s attractions include the Great Canadian Midway, a 70,000-square-foot arcade featuring more than 300 games. You can also enjoy two mini golf courses, the Movieland Wax Museum, the Ripley’s Museum and the Niagara Speedway, just to name a few. If you enjoy wine, you’ll be right at home in Niagara Falls, which is right in the heart of Niagara wine country — and the wineries are still open for business, tours and tastings in the winter. 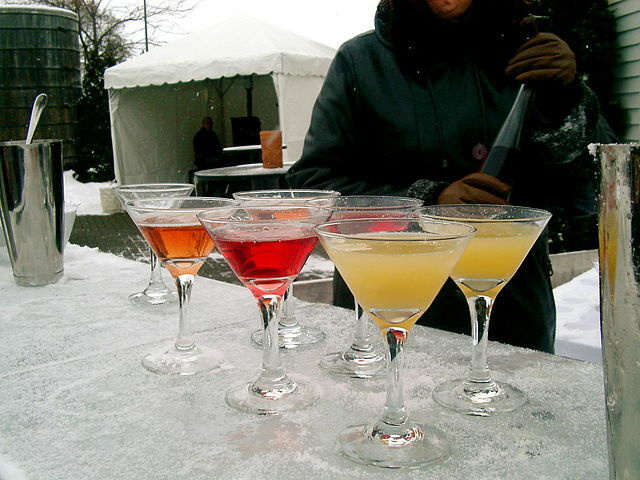 In fact, the Niagara Icewine Festival takes place in Niagara Falls every January. Visitors can enjoy live music and as many as eight ice wine pairings and tastings with the Discovery Pass. Are you looking to get off the beaten path for your vacation this winter? 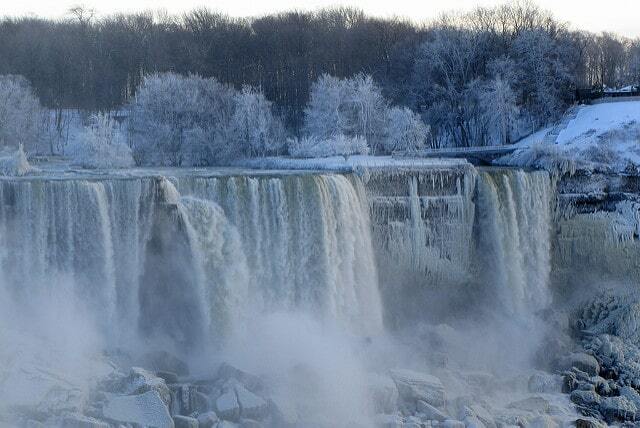 Go against the crowd and head to Niagara Falls for your winter trip. You’ll see the falls as few tourists see them and enjoy the local attractions without having the fight the crowds to get into them. Just make sure to pack your winter parka!